Long before director Sayo Yamamoto helped take the anime world by storm in 2016 with the figure-skating series Yuri!!! on Ice, she was already making a new for herself heading a number of notably female-headed shows. 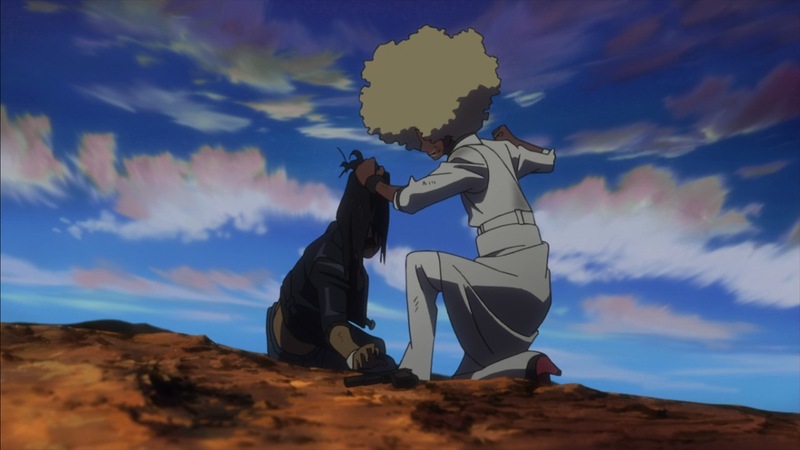 Before working on Lupin III: The Woman Called Fujiko Mine in 2012, she made her directorial debut in 2008 with a 22-episode series by the name of Michiko & Hatchin. As well as boasting a unique South American-inspired setting, the show starred noted Japanese actresses Yōko Maki (The Grudge) and Suzuka Ohgo (Memoirs of a Geisha) in the title roles and was animated by the now-defunct studio Manglobe (responsible for Samurai Champloo, Deadman Wonderland, Samurai Flamenco and more). Adding to this all-star staff list was legendary anime figure Shinichirō Watanabe (Cowboy Bebop), who worked on the series as its music producer. Taking place in the fictional South American country of Diamandra, ten-year-old orphan Hana Morenos lives an tormented life in the home of a corrupt priest, his strict wife and their two equally unpleasant children. Her life changes when she's "rescued" by escaped convict Michiko Malandro, who made a promise to reunite her with her father (and Mitchiko's former lover) Hiroshi Morenos. Nicknaming her "Hatchin", Michiko takes Hana on an adventure across Diamandra as they evade the police (including Michiko's childhood friend Atsuko Jackson among their ranks), gang members of the criminal syndicate "Black Monstro" and more. The two couldn't be more different from each other and their personalities constantly clash, but on their journey both come to realise just how much they depend on each other. 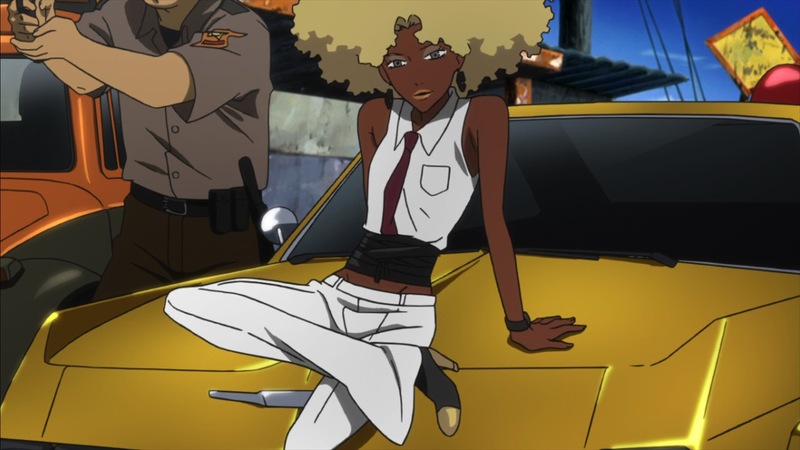 Above anything else, Michiko & Hatchin makes an immediate impression as one of the most refreshing and diverse looking anime series of recent years. Despite its fictional setting it looks and feels like a celebration of all things Brazilian and South American, with Yamamoto having found inspiration for the series while on a trip to Brazil. The level of detail when it comes to the visuals are magnificent, from the atmosphere and architecture right down to the clothing and vegetation. 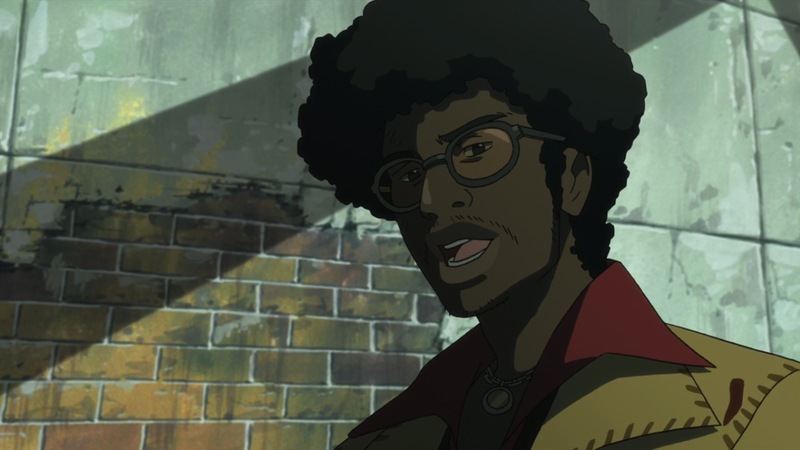 While anime can be an extremely diverse medium in terms of genre and storytelling, rarely is it this unique when it comes to setting and ethnicity. Furthermore, even when a series distances itself from a Japanese locale the result can often feel like an outsider's view rather than something than a true immersion. 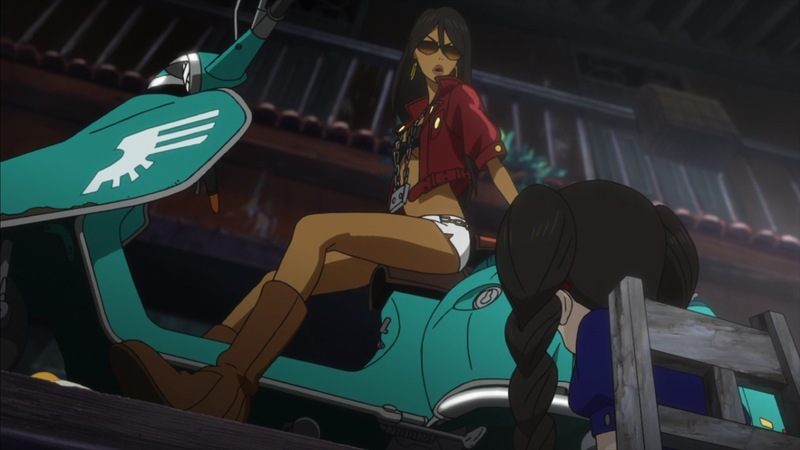 Michiko & Hatchin is most certainly the latter, and for that reason alone is more than deserving of attention. With its powerful instrumental opening theme alongside dazzling visuals of the lead characters, Michiko & Hatchin is immediately prone to comparisons to Shinichirō Watanabe's most prolific work - but the Cowboy Bebop vibes of the series stretch far further than these first few minutes. The show's format of an overarching story bound together by lots of episodic adventures feels very reminiscent of the Bebop crew's space-faring adventures, replacing the sci-fi-meets-Spaghetti-Western theme with a more cultural flavour. The soundtrack enhances the experience in a similar way, boasting a strong ensemble of jazz and samba tunes that present a further sense of authenticity. That said, the trade-off for this fantastic setting is a story that likes to meander a bit too much at times. With the way the story progresses from place to place telling it via episode stories makes sense, but that occasional loss in focus and varying quality episode to episode can lead to overall interest in the show waning at times. 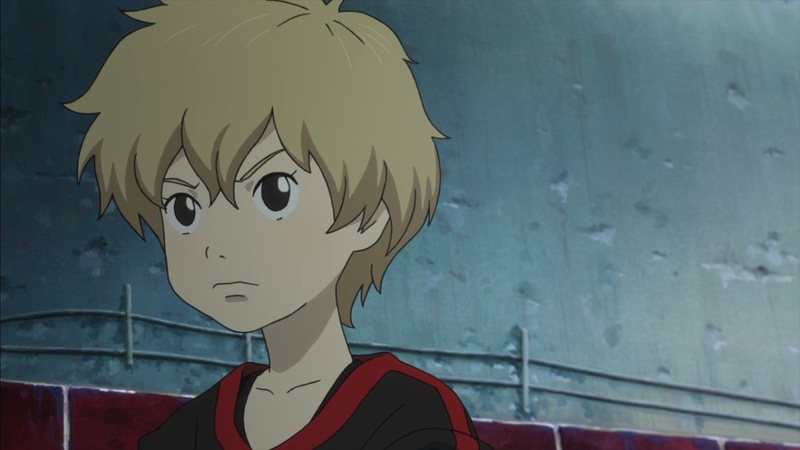 Mitchiko & Hatchin also fluctuates between grittiness and absurdity at the drop of a hat, with several of the more tense scenarios requiring some sense of disbelief to be even remotely plausible. That fact really shouldn’t downplay just how damn grim the show can get at times though – the first episode alone often feels like a tough watch as Hana is subject to all manner of abuse from her foster family, and it doesn’t get much better from there. So the silliness does help strike a balance when properly crafted, and moments such as Michiko getting a cold and the pair getting swindled by a sham doctor coming out as a particular highlight. 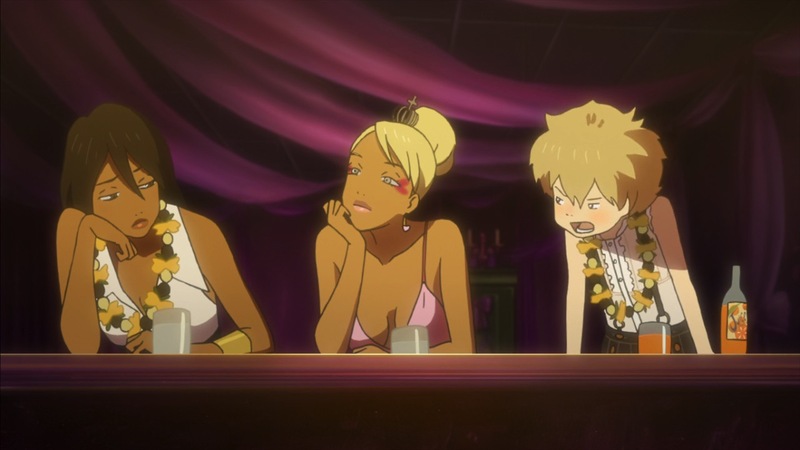 But despite the story proving a tad anti-climactic at times, where Michiko & Hatchin truly shines is its characters and just how wonderfully dysfunctional they are. Yamamoto's direction clearly brings a much-appreciated feminine touch to Takeshi Ujita's writing, with both Michiko and Hana shining as strong female leads even if either of them are terrible role models and at times aren't even all that likeable. Michiko is brash and impulsive but ultimately a believer in fate and everything turning out alright in the end, while Hatchin's experiences have made her jaded, cynical and if anything more mature (sometimes a bit too mature for a ten-year-old) than her supposed guardian. In terms of personality, it’s clear which one is the child and which is the adult. The two almost never see eye-to-eye throughout the entire series, yet somehow their bond keeps gets stronger as their co-dependency becomes all the more apparent. The pair are repeatedly pulled apart (more often than not by Hana's own volition), but every single time they end up back together. While these two are always at the forefront of the series, they aren't the only characters to be fleshed out in such an impressive way. 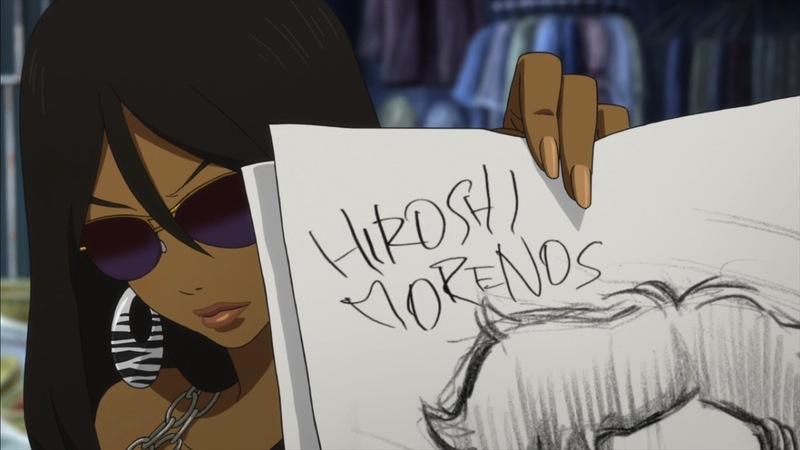 In only a few appearances police detective Atsuko Jackson cements herself as one of Michiko & Hatchin's most notable characters, as she's constantly torn between her duty and her childhood memories of being Michiko's friend and occasional partner in crime. As well through heated exchanges, a comfortable amount of backstory for the important cast members is provided through a number of well-timed flashbacks - intersped throughout the series at regular intervals. The majority of the other characters introduced are fairly one-note, but all play their parts well even if confined to a single episode. Male characters are rarely painted in a positive light though, which plays into both the seedy underbelly setting and the strong sisterhood message of the show. 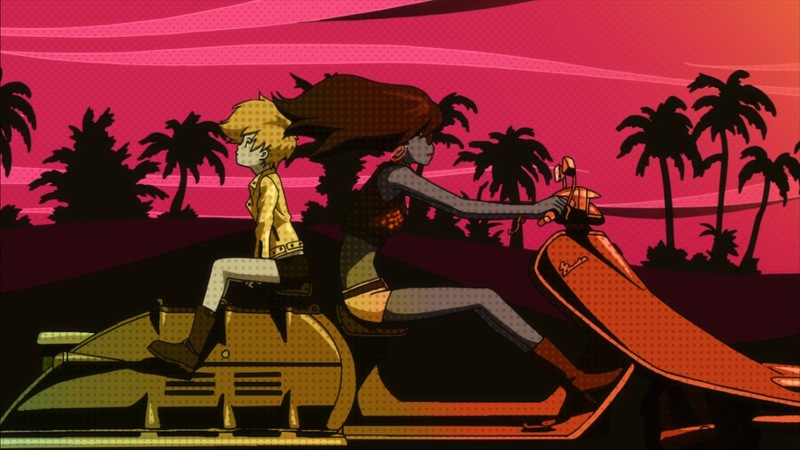 Much like the journey the two main characters themselves go on, Michiko & Hatchin can be a bit of a bumpy ride. But though the story can be a bit inconsistent at times, that journey is well worth it for the sights. This is a truly beautiful looking series oozing personality both from its unique setting and great characters. Sayo Yamamoto went on to do some pretty great things with both Fujiko Mine and Yuri!!! On Ice, but it’s clear that she’d already set the bar pretty high with her debut. Great review! I agree with you completely. This isn't a perfect show, but it's really good, and it brilliantly marks the introduction of one of anime's best young directors. A forgotten gem, moody and stylish.